Having a baby nowadays requires plenty of love, patience, nurture and, sadly- money. That’s why moms came up with an idea of throwing a party for friends where they can get all sorts of helping items. From baby chairs to clothes, diapers and toys; Baby showers will give you A LOT. You just have to sit there and enjoy the day. Well, and to give your guests some trinket to remember the day. 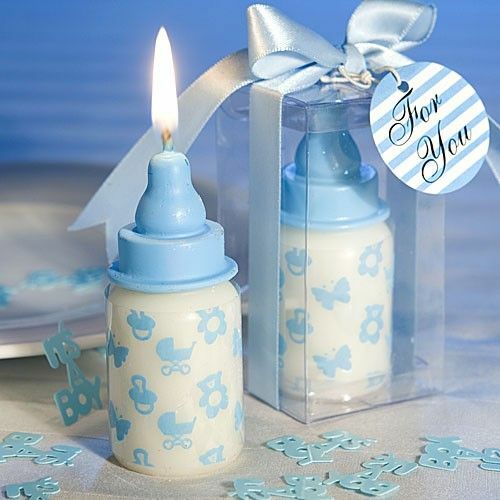 There are so many adorable baby shower favors, but we chose only the best ones for you. Your lady friends love candles. Period. Since they’ll make about 90% of your guests you can’t go wrong with sending them home with cute bottle candles. Pink or blue, either way it will look pretty on their shelves as a decoration.